The Government’s visions for achieving a healthy and inclusive workplace are ambitious and will ask a great deal of employers. However, those with group risk benefits in place will find that much of what will be required of them over the next few years will already be in place. With all the changes we’ve seen at the helm of the DWP in recent years (five different ministers since 2015) “ a week is a long time in politics”, to coin a phrase. However, regardless of the changing face at the helm, the Government’s flagship ambitions for health and work are still full steam ahead, as outlined in the Government’s Improving Lives: The Future of Work, Health and Disability roadmap, Good Work: the Taylor review of modern working practices and Thriving at work: the Stevenson/Farmer review of mental health and employers. The Government’s commitment to seeing one million more disabled people in work over the next ten years (according to Improving Lives: The Future of Work, Health and Disability November 2017) is not only focused on moving disabled people into work but also heavily relies on keeping people in work, and stemming the 10% flow of disabled people who move out of work in a year. 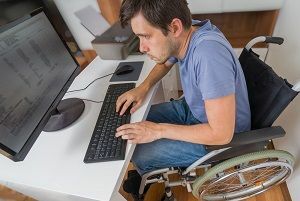 There is a huge role for employers to play in achieving this and a benefit to their business by proactively managing ill-health and chronic conditions and retaining people with disabilities and long-term health conditions in the workplace. This is particularly important with regards to supporting mental health in the workplace, given that 49% of the current 2.4 million Employment & Support Allowance claimants have a mental health condition as their primary condition (according to Department for Work and Pensions, Employment and support Allowance Caseload, February 2017). This is also very much reflected in the work the group risk protection sector undertakes as an industry where we have consistently seen mental illness as a top cause of claim under group income protection policies in recent years, on or near a par with cancer (GRiD Claims Surveys 2014 to 2017).